SUN, FUN, SHADE, COLOUR – Represents everything that Billy Fresh is! Colour and form is something Billy Fresh take seriously. 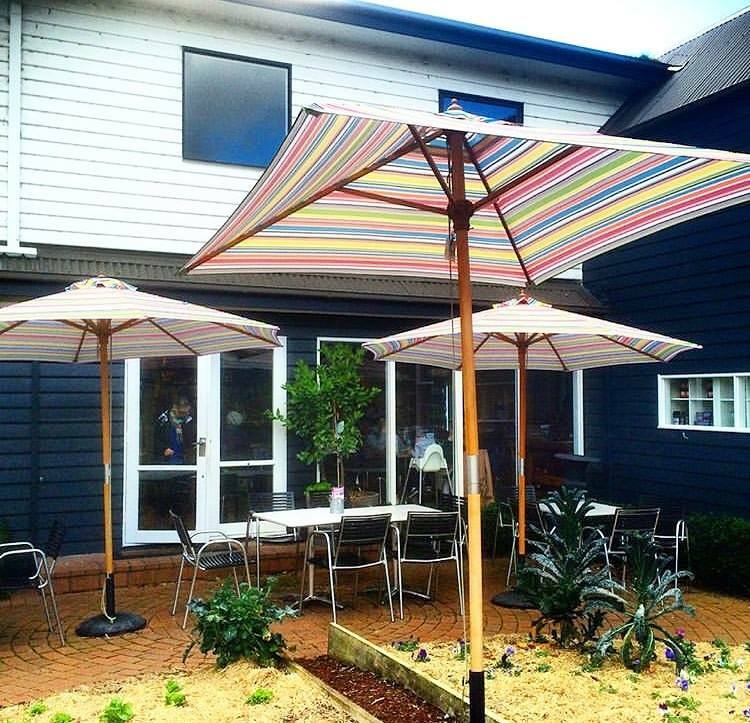 They have a fresh beautiful range of patio and market umbrellas that will add life to your outdoor entertaining area. Whether you’re a business looking to attract street attention by making your presence known, or hoping to add that classy touch to your outdoor oasis we have the stripes to suit your lifestyle. Below are a couple of tips to help make the decision of which to choose a bit easier! Firstly the size and shape of Billy Fresh umbrellas do differ. The 2×2 metre is square whilst the 3 metre is round. 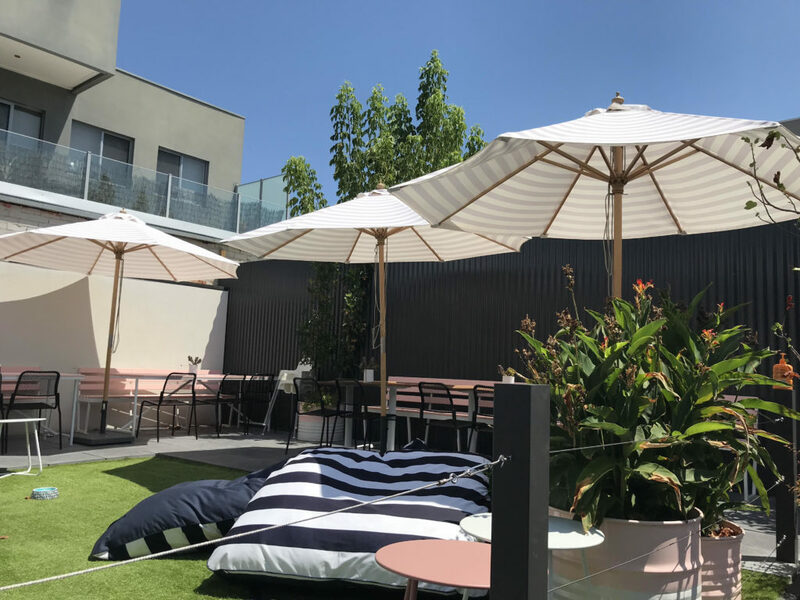 The shape factor may come into play particularly if your outdoor space is limited, therefore it is important to consider the outdoor space available before choosing your umbrella. A perfect example of this is a verandah patio with little or no shade. Although the larger umbrella would provide you with more shade, the 2x2m may actually be better suited to this outdoor area. Why? 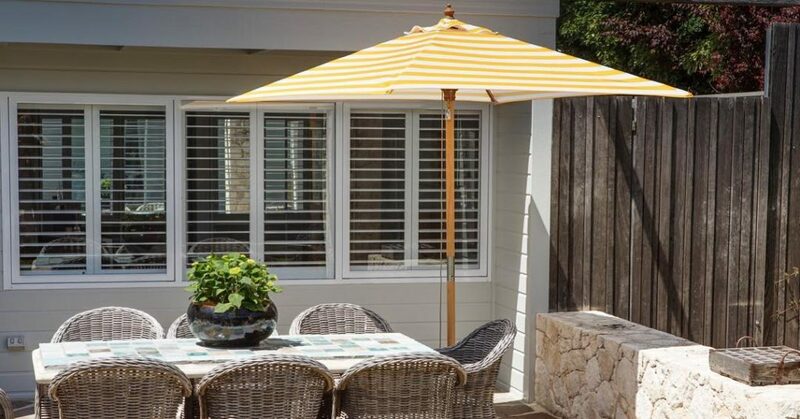 Think of it in the following way; the verandah patio is generally square or rectangular, keeping the umbrella to the same shape only smaller will allow greater clearance from possible walls or structures creating a more practical outdoor entertaining area. This is not to say that the larger Billy Fresh umbrella is the wrong choice as everyone’s outdoor lifestyle will be different. It is just an example of what to consider when making your choice. If you have a large area then it’s a matter of personal preference in conjunction with lifestyle. There’s also the option of incorporating both sized umbrellas, see image below. With the colorful stripes and contrasting shapes incorporating both will provide your outdoor entertaining area with a vibrant, versatile look. Once the space is worked out, all you need to do now is pick your stripes. If you’re after something bright and fun we’d recommend the Signature, available in both the 2 metre and 3 metre. Otherwise we have a couple of subtle options such as the Coastal or Peninsula, available in 3 metre, which may be more your thing!